NEW DELHI (Reuters) – After condemning the series of deadly bomb attacks on Sri Lankan churches and luxury hotels on Sunday that killed more than 200 people, Indian Prime Minister Narendra Modi told voters that they needed to elect him to a second term as only he can beat the “terrorists” threatening India. Modi and his ruling Bharatiya Janata Party (BJP) have promoted the government’s national security record as a vote winner in India’s staggered general election that began on April 11 and will end on May 19. Votes will be counted on May 23. 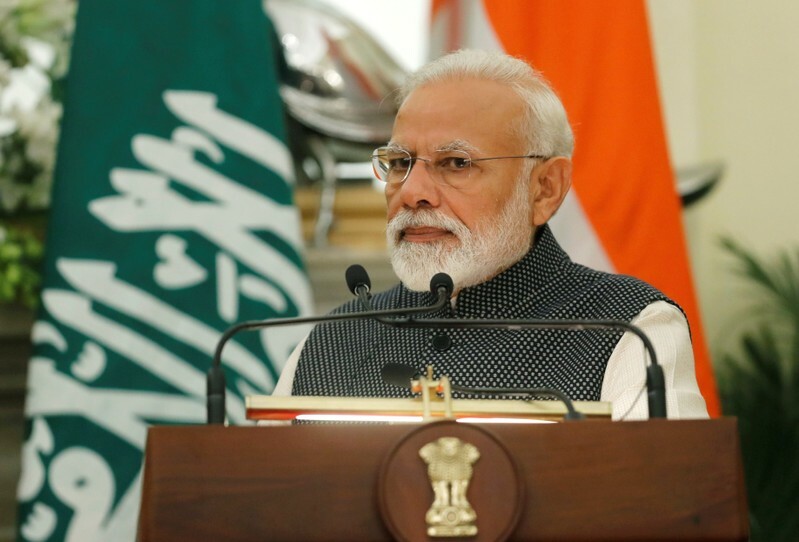 In particular, Modi’s muscular stance against Pakistan, which New Delhi says backs armed Islamist militant groups, had boosted support for the BJP in a tightening election race where opposition parties have focused on weak jobs growth and low farm incomes. Tensions between India and Pakistan peaked earlier this year after a February suicide bomb attack in disputed Kashmir that killed 40 Indian paratroopers, and was claimed by an Islamist militant group based in Pakistan. Modi then sent warplanes to Pakistan to bomb a purported training camp, in India’s first such aerial strike since 1971. Indian officials say that three Indian nationals are known to be among the dead in the Sri Lankan attacks. No group has yet claimed responsibility. “In our neighboring Sri Lanka, terrorists have played a bloody game. They killed innocent people,” Modi said. At another rally in Rajasthan on Sunday, Modi again mentioned the attacks in Sri Lanka and said that India, too, continues to suffer because of militants. “What do we have then?” he said, to cheers from the crowd. Pakistan has 140 to 150 nuclear warheads, compared with India’s 130-140 warheads, according to estimates from the Stockholm International Peace Research Institute. Both countries have ballistic missiles capable of delivering nuclear weapons. RABAT (Reuters) – Thousands of Moroccans staged a march on Sunday in downtown Rabat to demand the release of activists who led protests over economic and social problems in the northern Rif region in late 2016 and 2017. 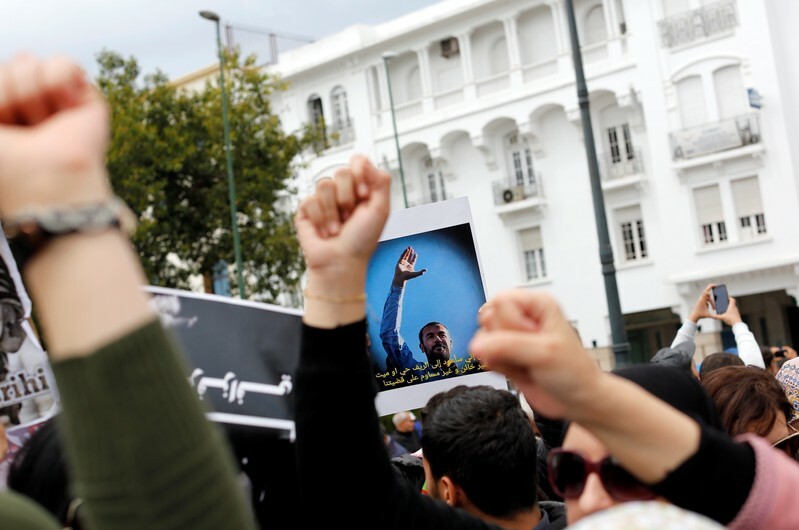 Two weeks ago, an appeals court in Casablanca upheld 20-year prison sentences against Nasser Zefzafi, Nabil Ahamjik, Ouassim Boustati and Samir Ighid on charges including undermining public order and threatening national unity. Another 35 activists were jailed for between two and 15 years and one received a one-year suspended sentence. The march brought together families of Rif activists, human rights organizations, the Amazigh movement, leftist political parties and the banned Islamist movement Al-Adl wal-Ihsan. The demonstrators also called for the release of journalist Hamid El Mahdaoui who covered the Rif protests and received a three-year jail sentence on the charge of not reporting a crime against state security after receiving a phone call from a Moroccan living abroad saying he would introduce arms to Morocco. The Rif demonstrations, along with those in the mining town of Jerada in early 2018, have been the most intense since unrest in 2011 prompted King Mohammed VI to devolve some of his powers to an elected parliament. The protests in the predominantly Amazigh-speaking Rif erupted after the death of fishmonger Mouhcine Fikri in October 2016, who was crushed inside a rubbish truck trying to recover fish confiscated by police. 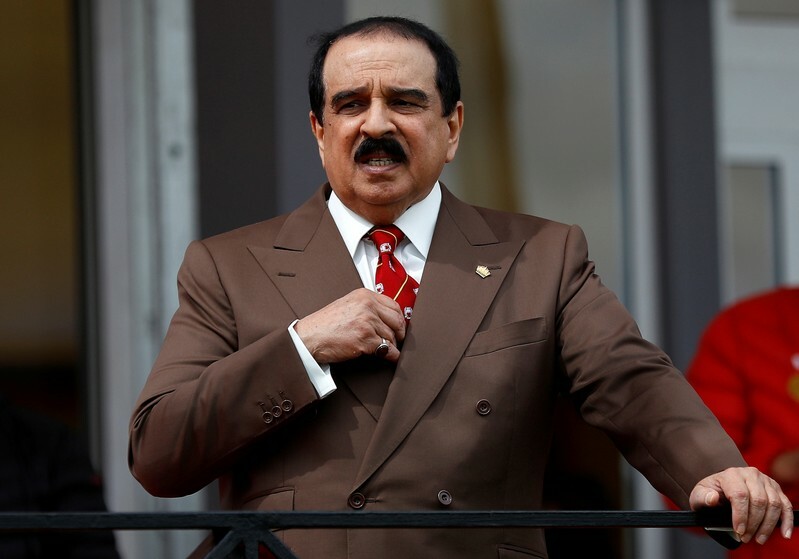 DUBAI (Reuters) – Bahrain’s king, Hamad bin Isa Al Khalifa, reinstated nationality to 551 people stripped of their citizenship by courts in the Gulf Arab state, state news agency BNA said on Sunday. Since a 2011 uprising, Bahrain, which hosts the U.S. Navy’s Fifth Fleet, has prosecuted hundreds of protesters in mass trials, banned the main opposition groups and revoked citizenship from hundreds of nationals. Most of the leading opposition figures and rights activists are imprisoned or have fled abroad. The Britain-based activist group the Bahrain Institute for Rights and Democracy has said Bahrain has stripped a total of 990 people of their citizenship since 2012. A Bahraini court on Tuesday stripped 138 people of their nationality in connection with terrorism charges, in a move criticized by the United Nations. The BNA statement did not specify which 551 people had their citizenship restored, or which trials they were involved in. 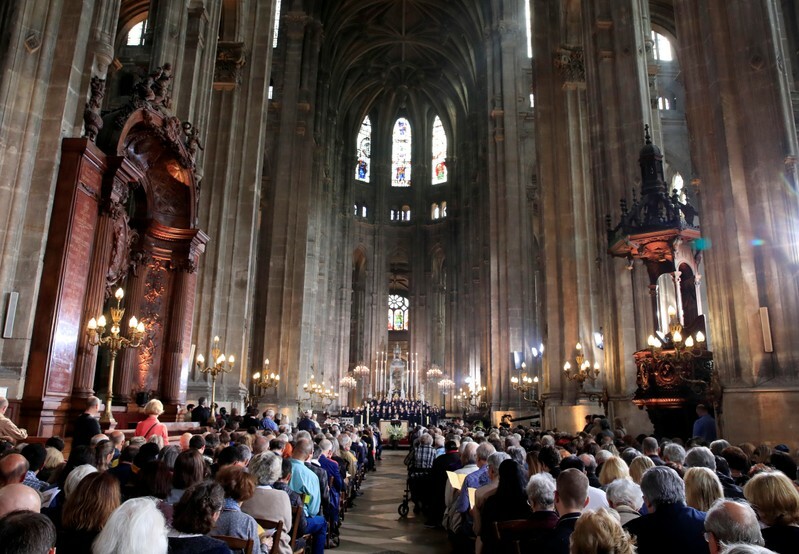 PARIS (Reuters) – With no cathedral to go to, hundreds of Parisians gathered for Easter Sunday mass at the smaller Saint-Eustache catholic church on the city’s right bank, and prayed for the swift restoration of Notre-Dame after its devastating fire. The archbishop of Paris, Michel Aupetit, began the service by drawing a parallel between the planned reconstruction of Notre-Dame de Paris cathedral and the resurrection of Jesus from the dead, celebrated every year by Christians at Easter. “We will rise up again and our cathedral will rise up again,” he told the congregation, which included the mayor of Paris, Anne Hidalgo, and the head of the Paris fire service, General Jean-Claude Gallet. The mass had originally been scheduled to be held at Notre-Dame, whose spire was destroyed and its roof gutted in Monday’s blaze as rescuers put their lives at risk to salvage the rest of the centuries-old cathedral and its priceless artifacts. Half way through the mass, Gallet received a minute’s applause from the congregation in tribute to the 400 firefighters who extinguished the blaze, and was then handed a bible that survived the fire. “We wish to reunite with the faithful, to pray together, hoping that Notre-Dame of Paris is revived as quickly as possible,” said Annie le Bourvellec, a charity worker, as hundreds of worshippers queued outside Saint-Eustache, one of Paris’s biggest churches, ahead of the mass. Kimon Yiasemiees, a construction litigation expert from Washington D.C., expressed a similar sentiment. President Emmanuel Macron pledged this week that France would rebuild the cathedral in five years and that the French people would pull together to repair their national symbol. The destruction of one of the France’s best-loved and visited monuments prompted an outpouring of sorrow and a rush by rich families and corporations to pledge around 1 billion euros ($1.1 billion) for its reconstruction. 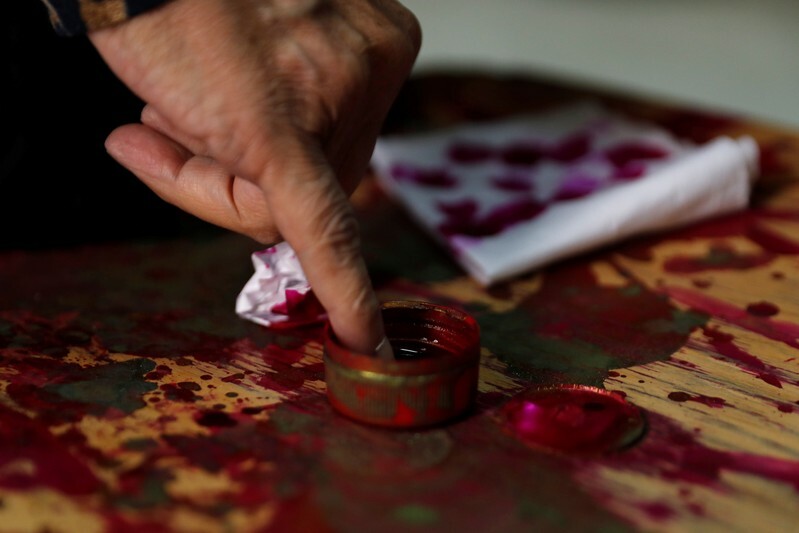 CAIRO (Reuters) – Egyptians voted on Sunday for a second day on whether to back constitutional amendments that could see President Abdel Fattah al-Sisi stay in power until 2030. The three-day referendum was called last week, a day after Egypt’s 596-member parliament endorsed the draft amendments by 531 to 22. If approved, the amendments would extend Sisi’s current term to six years from four and allow him to run again for a third six-year term in 2024. They would also grant the president control over appointing head judges and the public prosecutor from a pool of candidates, and give Egypt’s powerful military the role of protecting “the constitution and democracy”. Sisi’s supporters say he has stabilized Egypt since becoming president in 2014, but needs more time to pursue development projects. Critics say the changes are anti-democratic and designed to tighten his grip on power. Some 61 million of Egypt’s nearly 100 million population are eligible to vote. The result is expected within five days of the final day of voting. ISTANBUL (Reuters) – The leader of Turkey’s main opposition party was attacked by several shouting men on Sunday before security guards led him safely away from a crowd in Ankara on Sunday, according to the party and video footage of the incident. 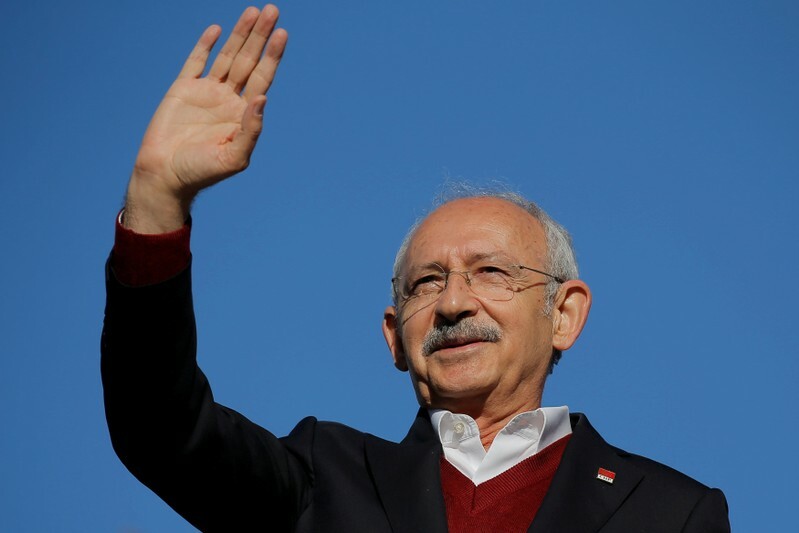 Kemal Kilicdaroglu, head of the secularist Republican People’s Party (CHP) that pulled off upset local election victories on March 31, had been attending a funeral for a Turkish soldier killed in clashes with the outlawed Kurdistan Workers Party (PKK). Video of the incident showed Kilicdaroglu hit on the head at least twice as a clutch of security guards attempted to keep dozens of shouting and fist-pumping men away. He managed to leave the scene and enter a nearby house, according to broadcaster NTV and Demiroren News Agency. A crowd then gathered outside the house chanting “PKK out”, NTV said. The CHP’s mayoral candidates in Ankara and Istanbul defeated those from President Tayyip Erdogan’s AK Party, according to initial results and a series of recounts of the elections three weeks ago. The AK Party has submitted two petitions to cancel and re-run the vote in Istanbul, citing what is says are irregularities and illegal votes. LONDON (Reuters) – Britain’s Queen Elizabeth, the world’s oldest and longest reigning living monarch, celebrated her 93rd birthday on Sunday by attending the traditional Easter service at Windsor Castle. 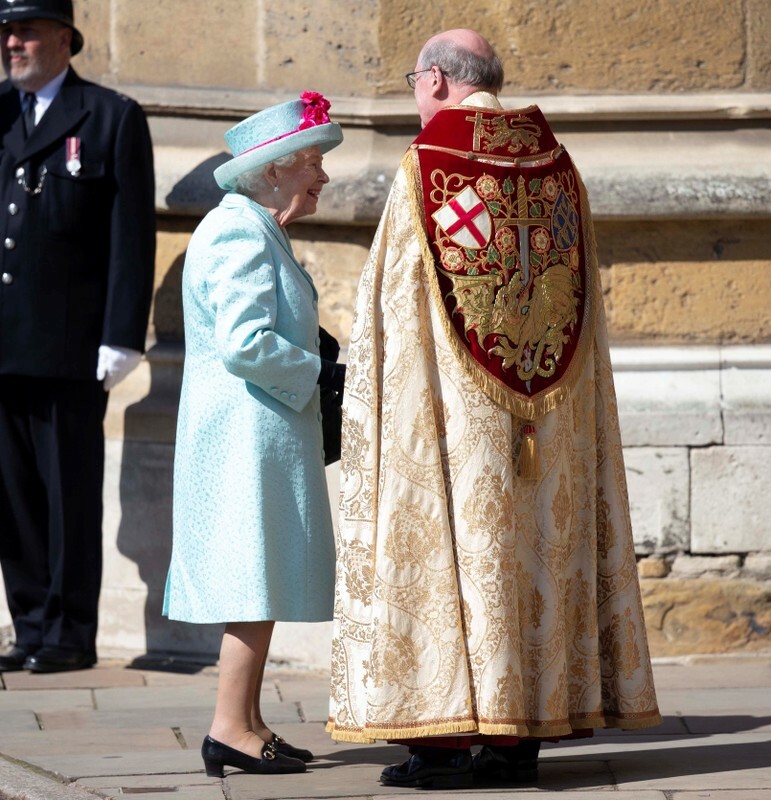 Elizabeth was accompanied by members of her family, including grandsons Prince William and Prince Harry, and William’s wife Catherine, at the Easter Mattins service in St George’s Chapel. Prince Harry’s wife Meghan Markle, who is due to give birth to the couple’s first child imminently, did not attend. The couple, who were married at the chapel in May 2018, posted a birthday greeting to Elizabeth on their official Instagram account. “Happy Birthday Your Majesty, Ma’am, Granny. Wishing you the most wonderful day! Harry & Meghan,” they wrote. Elizabeth was born on April 21, 1926, in Bruton Street, central London and became queen in 1952 at the age of 25, meaning she has now reigned for more than 67 years. She has an official birthday in June which is publicly marked with a large parade of soldiers through central London, known as Trooping the Colour. 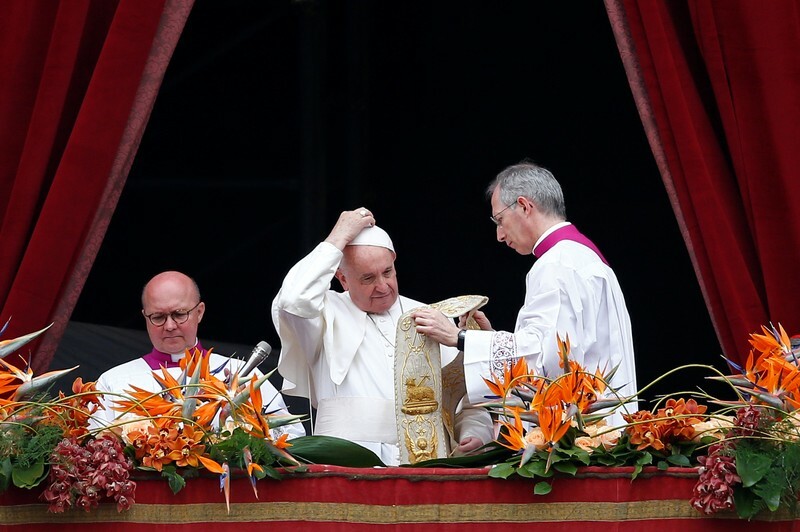 VATICAN CITY (Reuters) – Pope Francis, in his Easter Sunday address, condemned as “such cruel violence” the bombings in Sri Lanka that killed more than 100 people and were timed to coincide with the most important day in the Christian liturgical calendar. Francis, speaking to a crowd of about 70,000 people in St. Peter’s Square, also urged politicians to shun a new arms race that was budding and to welcome refugees fleeing hunger and human rights violations. The blasts in Sri Lanka, which hospital and police officials said killed at least 138 people and wounded more than 400 people, followed a lull in major attacks since the end of the civil war 10 years ago. “I learned with sadness and pain of the news of the grave attacks, that precisely today, Easter, brought mourning and pain to churches and other places where people were gathered in Sri Lanka,” Francis said in his traditional Easter Sunday “Urbi et Orbi” (to the city and the world) message. “I wish to express my affectionate closeness to the Christian community, hit while it was gathered in prayer, and to all the victims of such cruel violence,” the pope, who visited Sri Lanka in 2015, said. Speaking from the central balcony of St. Peter’s Basilica, he appealed for peace in conflict areas. “Before the many sufferings of our time, may the Lord of life not find us cold and indifferent,” he said, speaking in Italian after celebrating a Mass in the square. “May he make us builders of bridges, not walls. May the One who gives us his peace end the roar of arms, both in areas of conflict and in our cities, and inspire the leaders of nations to work for an end to the arms race and the troubling spread of weaponry, especially in the economically more advanced countries,” he said. Francis has made defense of migrants a key feature of his pontificate and has clashed over the immigration with politicians such as U.S. President Donald Trump and Italy’s Interior Minister Matteo Salvini who leads the anti-immigrant League party and has closed Italy’s ports to rescue ships operated by charities. Easter commemorates the day Christians believe Jesus rose from the dead. “May the Risen Christ, who flung open the doors of the tomb, open our hearts to the needs of the disadvantaged, the vulnerable, the poor, the unemployed, the marginalized, and all those who knock at our door in search of bread, refuge, and the recognition of their dignity,” Francis said. He called for a solution to the conflict in Syria that responds to “people’s legitimate hopes for freedom, peace and justice” and favors the return of refugees. Francis urged dialogue in order to end fighting in Libya, appealing to both sides to “choose dialogue over force and to avoid reopening wounds left by a decade of conflicts and political instability”. steps needed to heal divisions and offer the population the help they need”. Francis encouraged the fragile peace process in mostly Christian South Sudan, whose leaders attended an unprecedented spiritual retreat earlier this month at the Vatican where he begged them to avoid returning to a civil war. JAKARTA (Reuters) – Even with Indonesia’s current presidential election result still to be officially confirmed, attention is turning to the next race for the top job in 2024 with some rising political stars and well-connected figures in the frame. Sample vote counts by private pollsters from last week’s poll show that incumbent President Joko Widodo is headed for a second and final term in office though the results are being disputed by his challenger, ex-general Prabowo Subianto. There are, however, a string of new leaders waiting in the wings for their chance including some who, like Widodo, cut their teeth running cities or provinces across the archipelago, and also the offspring of ex-leaders being groomed to take over. Still, a candidate needs at least 20 percent of seats in parliament or 25 percent of the popular vote to stand, meaning it is conceivable for this year’s challenger Subianto, who is chairman of the Gerindra party, to run for a third attempt. “We have a lot of potential leaders… The threshold should be lowered to give these people an open opportunity,” said Arya Fernandes, a researcher at the Centre for Strategic and International Studies. Here are some of the possible contenders for the 2024 vote. Anies Baswedan, 49, is the governor of Jakarta. The former education minister, with backing from opposition parties and some hardline Islamist groups, defeated the popular ethnic-Chinese, Christian governor of the capital in a vote marred by religious tensions. Still, the Fulbright Scholar who comes from a family of moderate Muslim scholars is seen as appealing to younger voters and representing a more modern face of Islam. Sandiaga Uno, 49, was elected vice governor of Jakarta in 2017, but stood down to be the vice presidential running mate for Prabowo. His private equity fortune made to a large degree with investments in Indonesia’s coal industry helped fund Prabowo and his campaign. Though a relative newcomer to politics, the campaign has allowed him to raise his profile across Indonesia and he proved a hit with millennial and female voters. 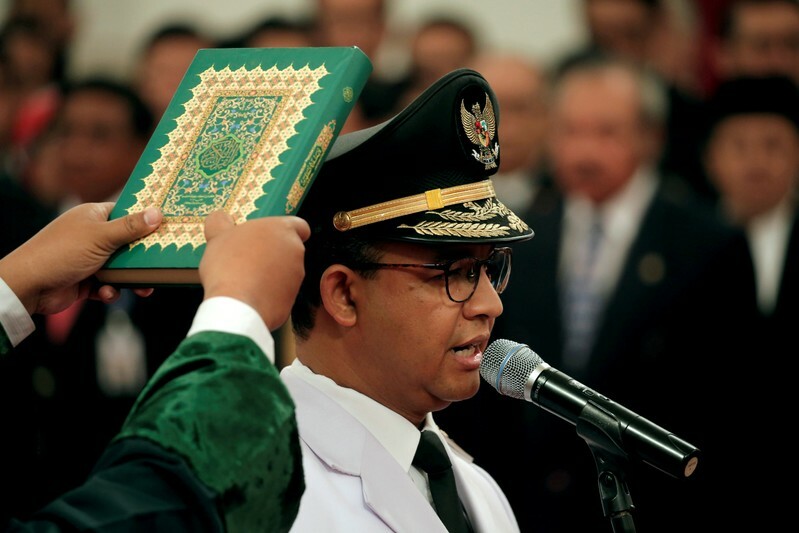 Ridwan Kamil, 47, is governor of Indonesia’s most populous province West Java and an ally of Widodo. A trained architect, he was previously mayor of Bandung where he is credited with rebranding the city to encourage creativity and use of technology. He has successfully used social media to connect with voters and has more than 10 million followers on Instagram. Puan Maharani, 45, is a minister for human development and cultural affairs. She has political pedigree as the daughter of former president Megawati Soekarnoputri and granddaughter of Indonesia’s charismatic first leader, Sukarno. Her mother chairs the biggest party in parliament, the Indonesian Democratic Party of Struggle (PDI-P), which is in the ruling coalition. Agus Harimurti Yudhoyono, 40, is the eldest son of former president and Democratic Party chairman Susilo Bambang Yudhoyono. The Harvard-educated politician followed his father by having a military career and despite his inexperience ran in the Jakarta governor race in 2017 where he lost in the first round. The Democratic Party has also not fared so well this year. Other names being circulated by pollsters or the media include regional leaders such as Ganjar Pranowo, 50, the governor of Central Java, Tri Rismaharini, 57, mayor of Surabaya, and East Java governor Khofifah Indar Parawansa, 53. In eastern Indonesia, Nurdin Abdullah, 56, the South Sulawesi governor, is also seen as a contender. Deputy parliament speaker and vice chairman of the Gerindra party Fadli Zon, 47, is also seen as a possible candidate as a Prabowo loyalist. Basuki Tjahaja Purnama, 52, the ex-governor of Jakarta, still has many supporters if he did try to get back into politics even with a blasphemy conviction for insulting the Koran. Billionaire businessman Erick Thohir, 48, who orchestrated last year’s Asian Games and Widodo’s 2019 presidential campaign, has also been mentioned though he has denied interest in a political career and up to now lacks governance experience. QINGDAO, China (Reuters) – Warships from India, Australia and several other nations arrived in the eastern Chinese port city of Qingdao on Sunday to attend a naval parade, part of a goodwill visit as China extends the hand of friendship despite regional tensions and suspicions. China on Tuesday will mark 70 years since the founding of the People’s Liberation Army Navy, where it will show off new warships including nuclear submarines and destroyers at a major review in the waters off Qingdao. China says warships from about a dozen nations are also taking part – one diplomatic source with direct knowledge said it was 13 countries in total – and the PLA is putting its best foot forward to welcome them. India, which has been at odds with China over their disputed land border and Beijing’s support for India’s regional rival Pakistan, has sent stealth guided-missile destroyer the “INS Kolkata” to take part, along with a supply ship. “We bring to you one of the best ships that we have made. It is the pride of the nation and the navy, and we are very happy to be here,” Captain Aditya Hara told reporters on the dockside after disembarking from the ship in Qingdao. A source familiar with the situation told Reuters the “Kolkata” had sailed through the Taiwan Strait to get to Qingdao, a sensitive waterway that separates China from self-ruled Taiwan, claimed by Beijing as sacred Chinese territory. “We headed on a direct route and we are very happy that we were facilitated by the PLA Navy and they ensured that we had a safe passage to Qingdao,” Hara said, when asked if they had sailed via the Taiwan Strait. Australia, a close U.S. ally, has sent the “HMAS Melbourne” guided-missile frigate to Qingdao, though officials declined to make the captain available for interview. China and Australia have sparred over Australian suspicions of Chinese interference in the country’s politics and Australia’s banning of China’s Huawei Technologies Co Ltd from supplying equipment for its planned 5G broadband network. 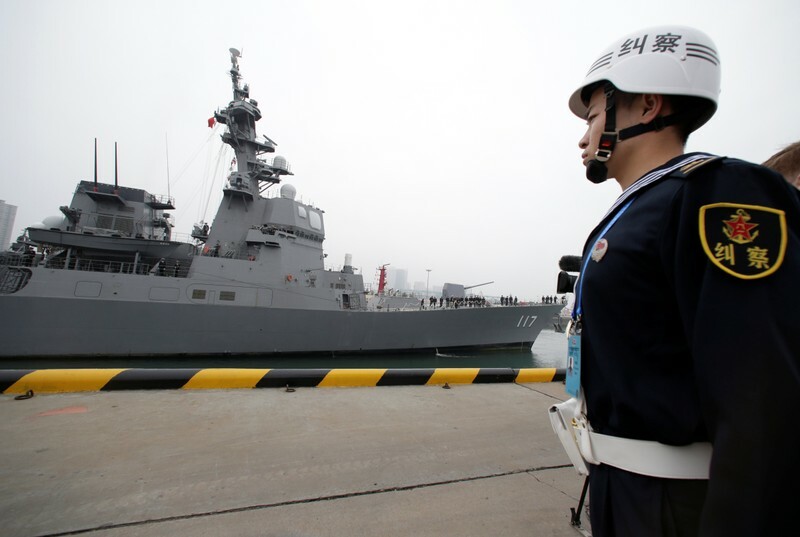 Japan has also sent a destroyer to Qingdao, in the first visit of a Japanese navy ship to China since 2011, according to Japanese media. Ties between China and Japan, the world’s second and third-largest economies, have been plagued by a long-running territorial dispute over a cluster of East China Sea islets and suspicion in China about Japanese Prime Minister Shinzo Abe’s efforts to amend Japan’s pacifist constitution. The other countries taking part include China’s close friend Russia, and three countries which have sparred with China over competing claims in the disputed South China Sea: Vietnam, Malaysia and the Philippines. Pakistan, a very close Chinese ally, is not on the list of countries officials have provided which are sending ships to the parade.